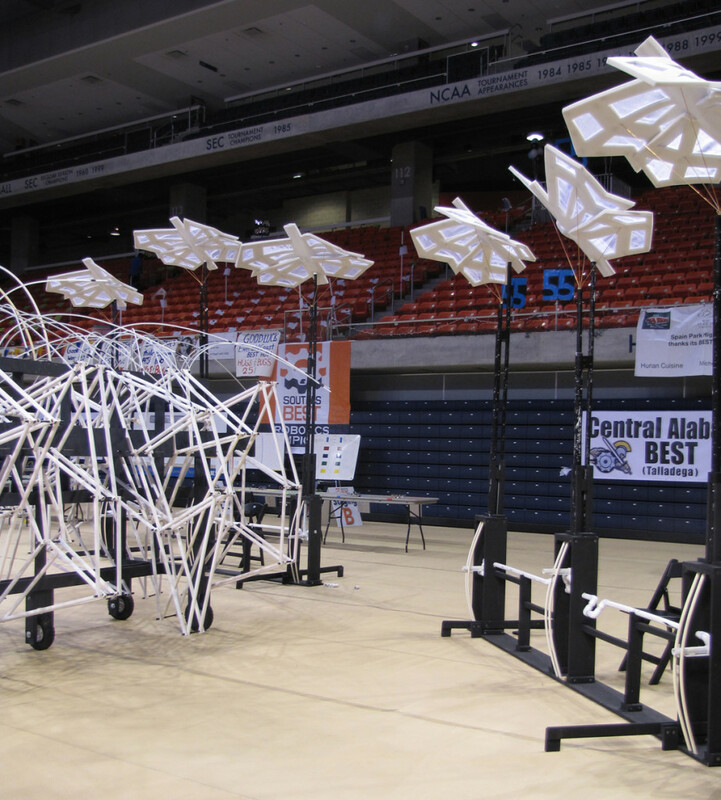 The culminating project of the first semester was for the class as a group to design and fabricate an installation for the BEST Robotics Competition, a high school robotics event which is held each year at Auburn University. 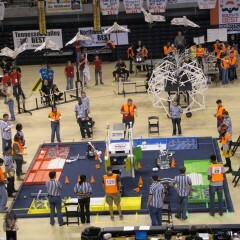 The theme of the competition that year was genetically modified bugs. Our projects through the semester were specifically chosen to lead to this project, so we decided our final design should take advantage of our new knowledge of kinetic machinery. 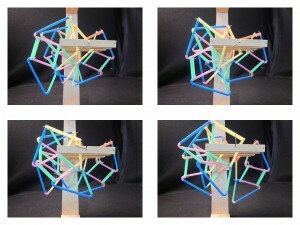 As a class, we began by studying precedents of kinetic sculptures including Theo Jansen’s Strandbeests. 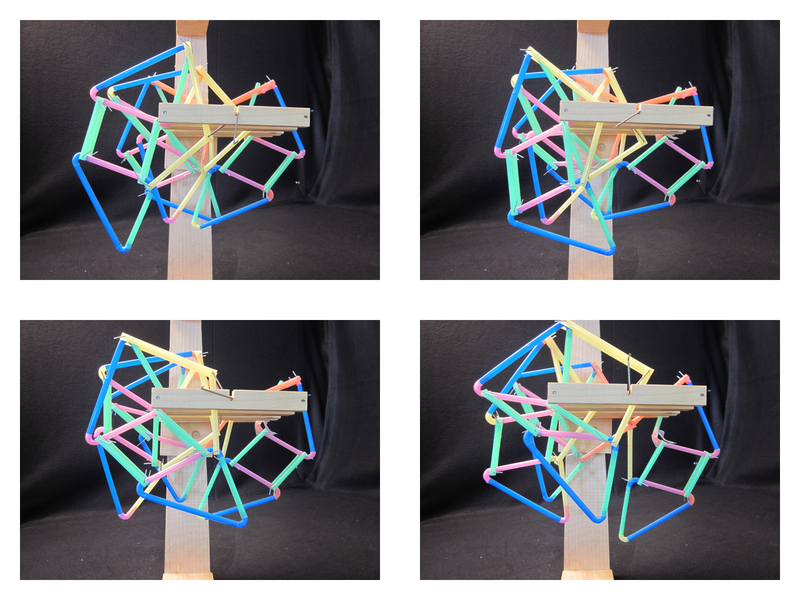 I worked with a group to build multiple iterations of the Strandbeest design at different scales to perfect the proportions of the moving members, starting with a small straw model and building to a half-scale PVC mock-up. 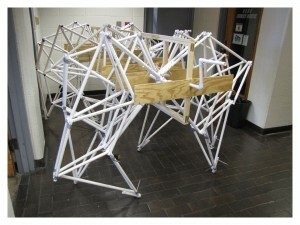 Another group of students fabricated two full sized Strandbeests for the final installation. 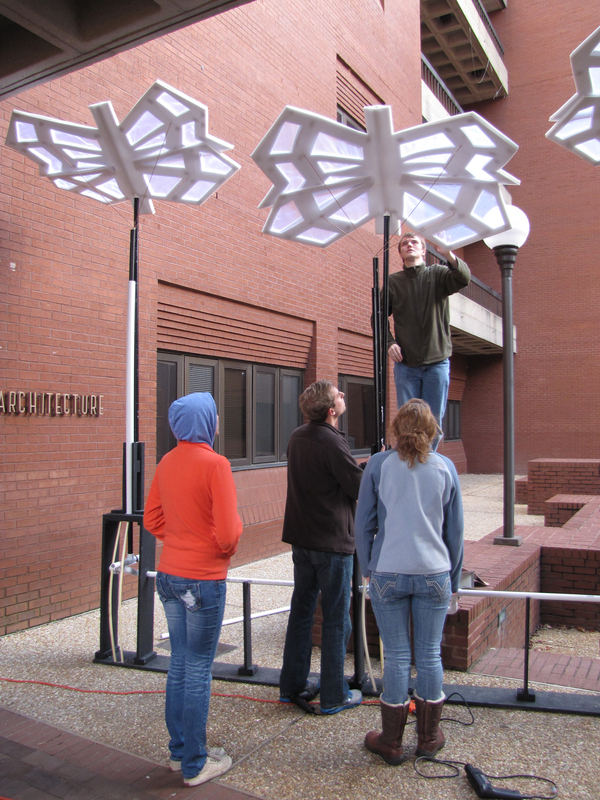 For the final design, I worked with a group to design and build a series of large flapping butterflies, based on the design of the Machine with 23 Scraps of Paper. 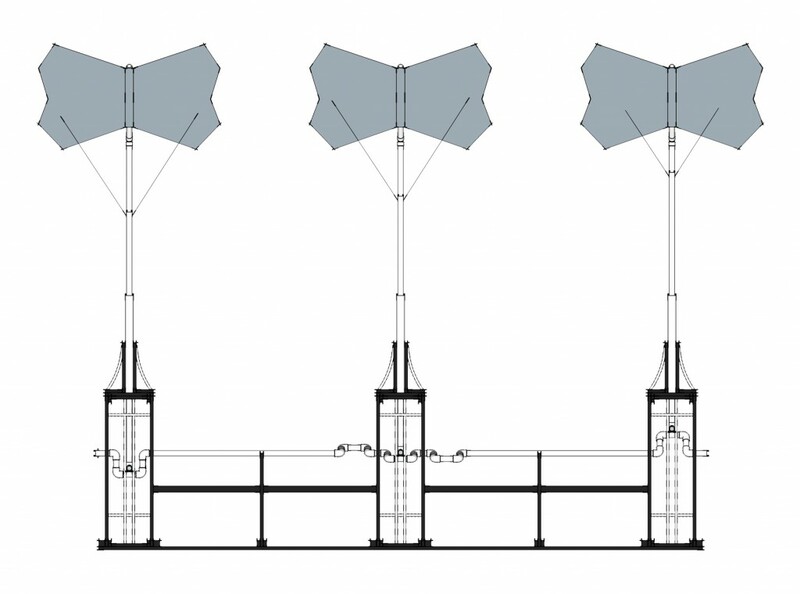 I began by designing the structural base and machinery in Sketchup and working out the mechanical details with sketches. The group then began the task of fabricating the eight bases out of wood and PVC pipe. 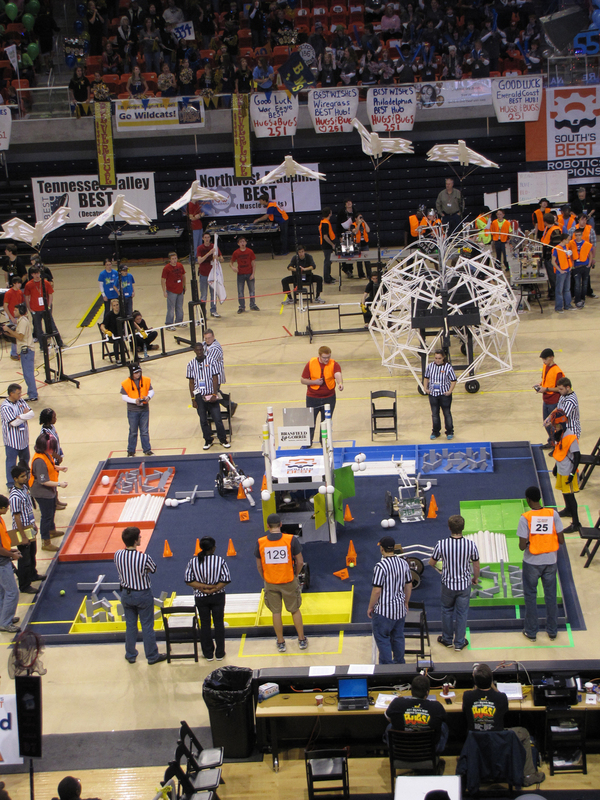 The design was adjusted during construction as we began to better understand how the machines would operate. 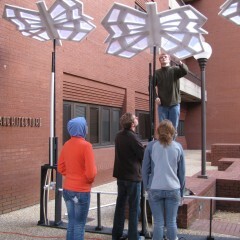 We then installed the bases at the event and tested them overnight. We then operated the bases during the event the next day along side the final Strandbeests built by a seperate group of students.